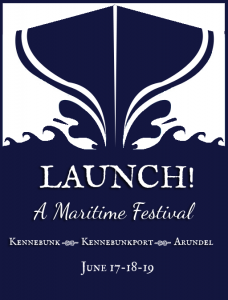 Kennebunk, Maine – The Kennebunks will kick off summer with the first LAUNCH! A Maritime Festival, which gets underway on Friday, June 17th. 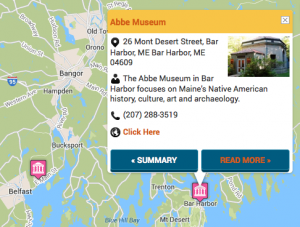 Fresh local seafood, nautical history and an array of events at locations throughout Kennebunk, Kennebunkport and Arundel will celebrate the community’s rich maritime history - one that continues to this day. Shipbuilding, lobstering and commercial fishing remain a vital part of the community. Bringing to life this vibrant part of the towns’ cultures and culinary scene, LAUNCH! will highlight the community’s love of the sea through various anchor events and activities: from a Clam Jam at the Seafood Center of Maine with homemade clam cakes and ice cream, buoy decorating and a bouncy house for kids; to a "Chopped" style chef competition, chowder cook-off and local food truck gathering in downtown Kennebunk; to an authentic Lobster Bake with red and white checked tablecloths at the Pilot House, overlooking the Kennebunk River; to a River Lights boat parade and a VIP “Rock the Boat” adults-only shipboard after party. Throughout the three-day festival, visitors can also enjoy historic walking tours with costumed interpreters from the Brick Store Museum and White Columns (Kennebunkport Historical Society), brewery tours and tastings at the Kennebunkport Brewing Company, a craft fair on the river green and more. Sunday morning, the festival will conclude with a resurrection of the traditional Blessing of the Fleet in beautiful Cape Porpoise village, wishing captains and crew a safe and bountiful season. The Kennebunk, Kennebunkport, Arundel Chamber of Commerce looks forward to helping visitors plan their stay this June to set sail on this fantastic voyage! For information on hotel room availability and more event details, please call 207-967-0857, visit www.gokennebunks.com or www.launchfestme.com, or follow the event’s Facebook page.